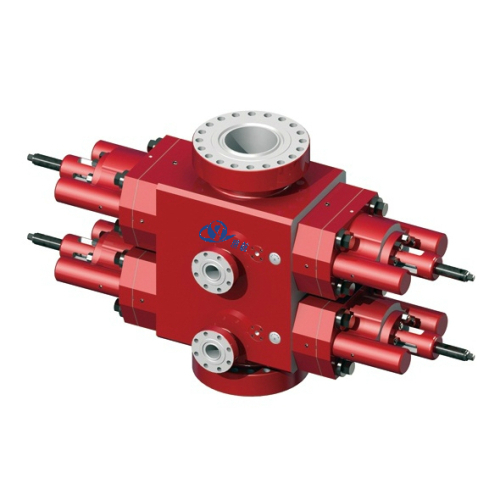 7-1/16", 11", 13-5/8", 20-3/4", 21-1/4"
In oil drilling, a Blowout Preventer (BOP) is a large, specialized valve or similar mechanical device, used to seal, control and monitor oil and gas wells to prevent blowouts, the uncontrolled release of crude oil and/or natural gas from a well. They are usually installed in stacks of other valves. 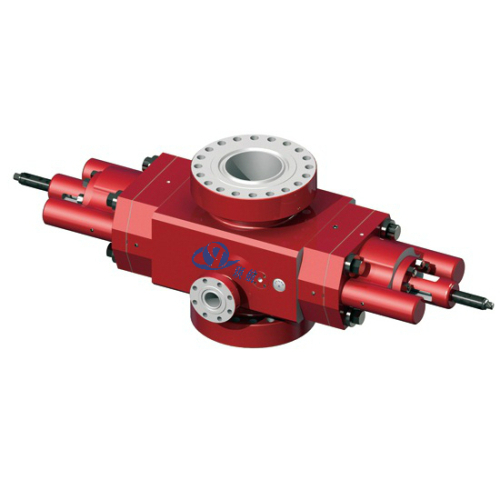 Blowout preventers were developed to cope with extreme erratic pressures and uncontrolled flow (formation kick) emanating from a well reservoir during drilling. 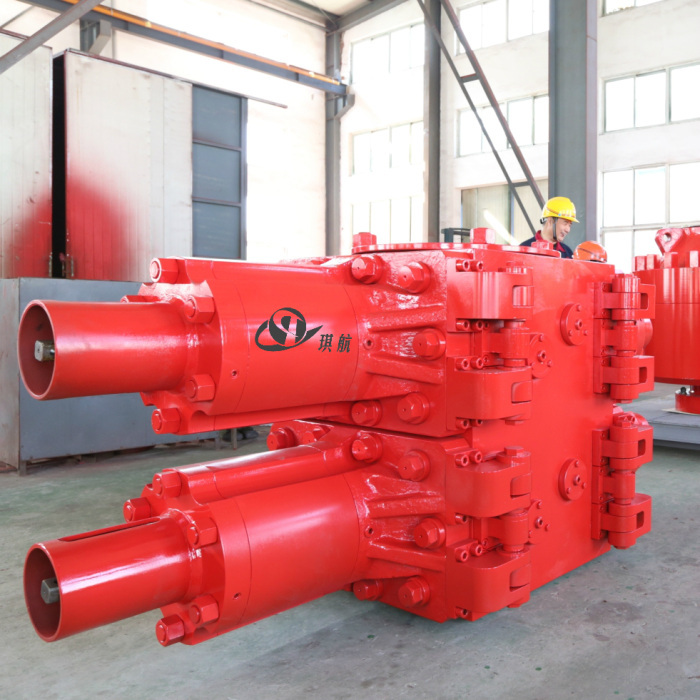 BOPs come in two basic types, Ram Blowout Preventer and Annular Blowout Preventer. 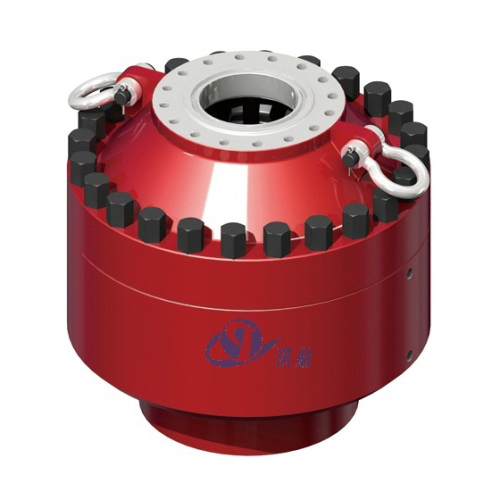 Both are often used together in drilling rig BOP stacks, typically with at least one annular BOP capping a stack of several ram BOPs. A ram-type BOP is similar in operation to a gate valve, but uses a pair of opposing steel plungers, rams. 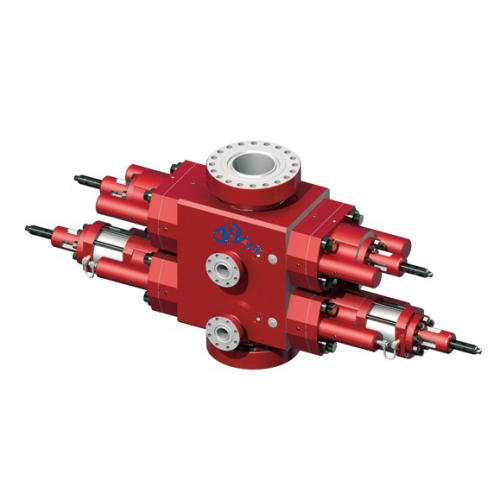 The rams extend toward the center of the wellbore to restrict flow or retract open in order to permit flow. 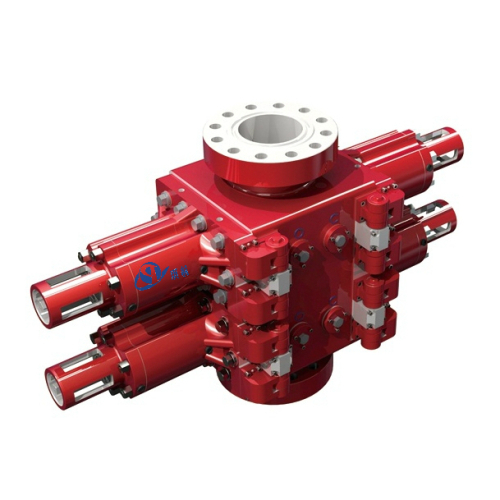 The inner and top faces of the rams are fitted with packers (elastomeric seals) that press against each other, against the wellbore, and around tubing running through the wellbore. Outlets at the sides of the BOP housing (body) are used for connection to choke and kill lines or valves. Our QH-U ram BOP which can be equipped with rams of various specs. 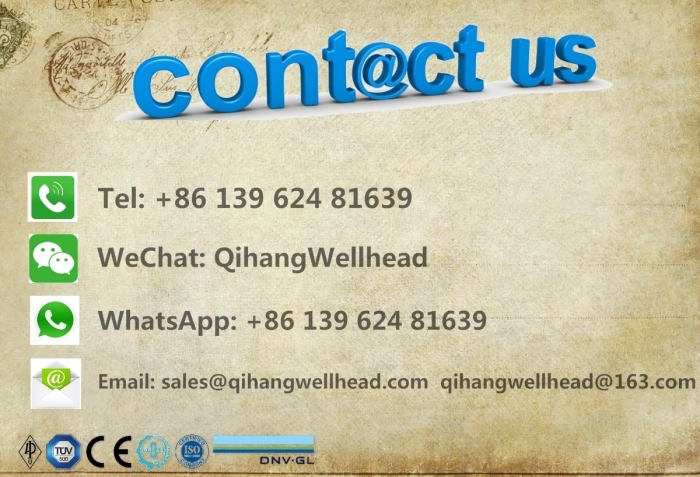 We adopts high quality front packer, top packer and seal assembly for intermediate flange, which assures fine working performance under high and low temperature environment. 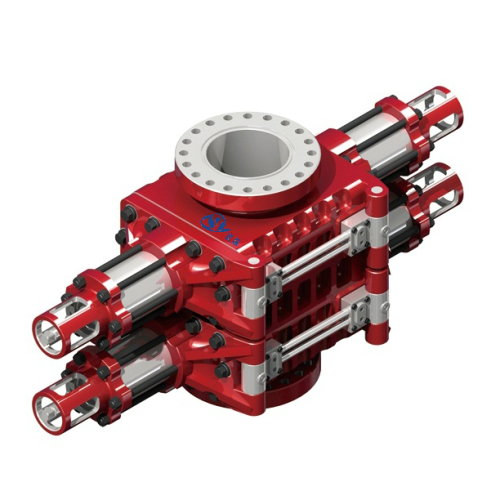 Nominal Bore: 7-1/16", 11", 13-5/8", 20-3/4", 21-1/4" Other sizes are available upon request. Ram BOP can be single ram or double ram type. 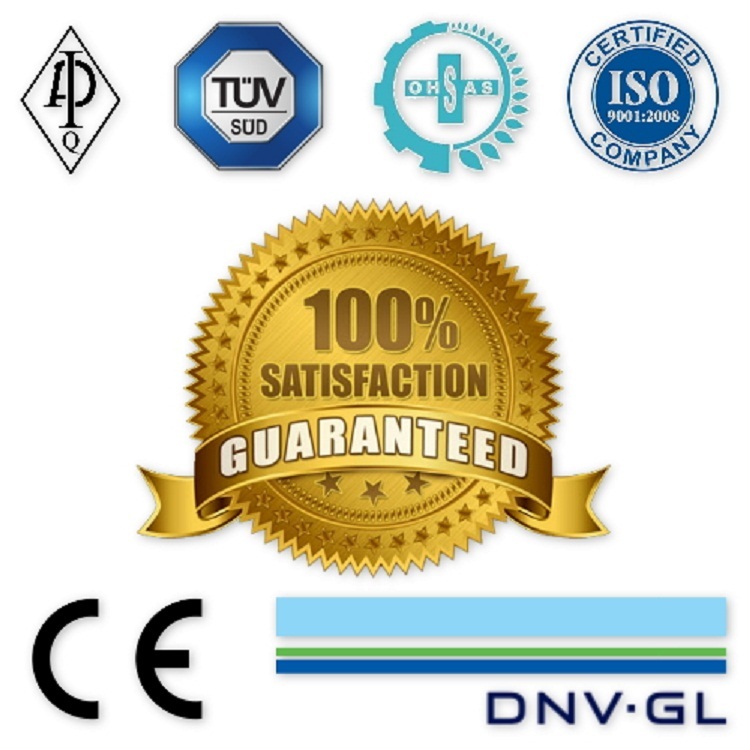 Main pressure containing parts are forged with fine mechanical properties. BOP parts can be replaced easily and quickly. Qihang produces Top Quality API 16A Single Ram Blowout Preventer & Double Ram Blowout Preventer (BOP) at Truly Competitive Prices.